Verlag für zeitgenössische Kunst, Architektur, Design & Theorie. While so-called new capitalist global exhibition projects that either include selected Third and Second World artists and their artworks or are organized just for them are developing, so is a subtle system of inclusion and exclusion. These projects demonstrate some important new directions that can be seen not only as conceptual shifts but also as technological ones. Key here is the technique of transfer that provides the means of reproduction. The center (the capitalist First World) establishes hegemonic interpretations of the other worlds. 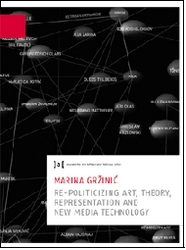 We can detect a dialectical process between the technology of writing and the politics of publishing. Theory and the industry of theoretical writings are precise pyramidal constructions which are carefully safeguarded. Who can publish where and at what time and, moreover, who is positioned to provide the first line of interpretation, are extremely important decisions within the capitalist system. Huge symposia, seminars and panels are organized to support world exhibitions and global cultural projects, circulating the same theoretical personalities and public opinion makers who continually reproduce the capitalist system in theoretical terms. It is perfectly clear that in the field of global contemporary art and culture, we are not dealing with gestures of just exchange and production. We are instead dealing with the delineation of political lines within a certain (public) space, with a codification of this space and a naming of its political subjects. The question is whether, in addition to this process of codification, we also have spaces of resistance?